I was recently working in the shop and I needed a break, so I decided to mount a small blank on the lathe just to goof around. The blank had progressed to the point that I wanted to push on and turn this scrap into something useful. 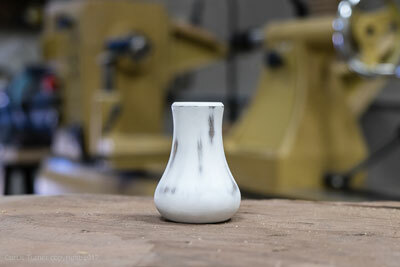 I decided this piece would make a nice mini vase but more importantly, give me the chance to use milk paint again! 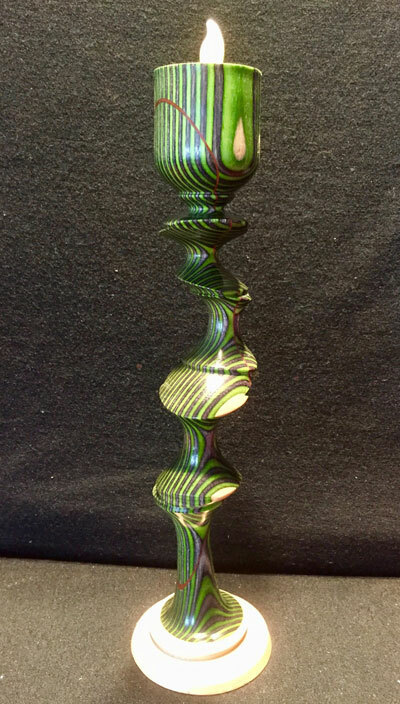 After having his turnings featured in the June 2013 issue of The Highland Woodturner , Ray Bissonette used his earned store credit toward a new Spindle Gouge, which helped him add a new design element to his already "eccentric" woodturned candelabras. 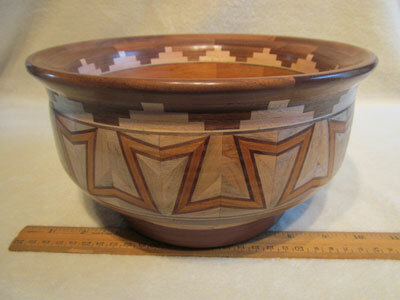 This month, we're sharing Paul Santone's segmented woodturned bowls. This month, Phil shares a tip he learned from Mark Sillay on how to make his Hollower last longer. The ultimate guide for anyone interested in segmented turning, Woodturning with Ray Allen provides a thorough look at Allen's specific techniques and beautiful work. SAVE 33% on this title! This mini-texturing tool hardware parts kit provides the hardware necessary for you to build a superb texturing tool. Once built, the mini-texturing tool allows a woodturner to enhance the texture of a workpiece's surface after the woodturning is complete.